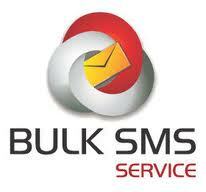 Communicate easily with your clients with bulk SMS service. Guaranteed lowest rates: We will beat any offer you will present to us! We use Local Gateway SMS’s at wholesale prices with a sliding scale for bulk purchases. No hidden cost, you get what you pay for! Keeping your clients informed about your business has never been so easy or affordable . With bulk SMSs you send the same message to a selected list of clients. Your lists are uploaded with the click of a button. All you then need to do is get your message right and send it off. You will receive comprehensive reports after each campaign that give you detailed information about how and when your campaign was received. This makes it easy to adapt your communication to maximise your results. All replies to your bulk SMS campaign will be collected in an easy to manage ‘inbox’ on our site. Our SMS platform allows you to send and receive text messages. We provide easy to use tools for you to integrate with our SMS platforms through API links and provide you with all the controls to send and receive messages from your own applications, in real time. If you don’t want to integrate your own application you can always use the Web SMS technology to send your SMS messages. This product tool allows you to send messages from the WEB and receive replies back from users, without integration to our platform. Credits are purchased in advance by any of the following: Credit Card, Direct Deposit or Electronic Funds Transfer (EFT). An easy to use WEB interface allows you to import a CSV file and send custom messages to each person. The system also allows you to create groups of people you can send messages to. Our gateway supports a range of connectivity technologies through its Application Programming Interfaces (API). TCP/IP – Suited for applications such as C++, Java, VB, .Net etc.